Beasley & Gilkison LLP is conveniently located in downtown Muncie, IN, and provides legal services for clients throughout Indiana. We are proud that many clients have trusted our service for decades, and we strive to establish that same relationship of trust and confidence with new clients. Beasley & Gilkison LLP provides honest legal advice to a broad range of individual, business and institutional clients. Each client expects and trusts us to be candid and honest in our assessment of legal issues and in the development and discussion of a plan to address the client’s needs and to accomplish goals. We work diligently to evaluate your needs and to develop a course of action to efficiently pursue your goals in a cost efficient manner. Our lawyers are highly skilled, dedicated and experienced. At Beasley & Gilkison, we have assembled a team of accomplished attorneys who cover diverse areas of the law. Our staff has knowledge, experience, and creativity and is fully committed to our clients. Not only do we remain current with the law and societal trends, we incorporate the latest technology into our office so that we can provide first-rate service in an ever-changing world. With our talented experts, traditional values and a progressive philosophy, we will continue to address the evolving and diverse needs of our clients. In addition to first-rate attorneys, paralegals have been an important part of the firm for many years. When appropriate, our paralegals are actively involved in meeting clients’ legal needs, have a significant amount of direct contact with our clients, assist in preparation of documents, and communicate with others on our clients’ behalf. Paralegals provide outstanding service to our clients in an efficient and cost-effective manner. 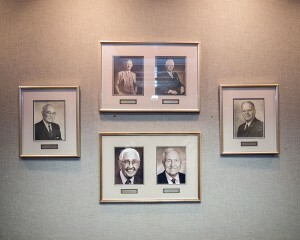 Our paralegals and legal assistants have a combined total of more than 60 years of employment with Beasley & Gilkison. We think that says a lot about our law firm and the service we provide. Our clients – past, present and future – are the foundation of our practice, and client satisfaction is our top priority. Our prime objective is to provide the best, most innovative and consistently reliable service at a reasonable cost. We are proud of our past, our growth, and the referrals we have received from satisfied clients throughout our history. We are pleased to have served several generations of clients within families, businesses and institutions in East Central Indiana. Repeat business and referrals of new clients – based upon long-standing relationships – form the cornerstone of our practice. We look forward to the future and welcome the opportunity to serve your legal needs in the best possible way. Beasley & Gilkison is a firm you can trust to provide the first-rate legal service and the careful personal attention you deserve. When hiring a lawyer, experience and expertise are important factors. For example, in estate planning and elder law, several issues should be considered if your interests are to be adequately protected. Our attorneys who concentrate in the areas of estate planning and/or elder law can advise you regarding all aspects of the law, not just one or two. Your decisions, then, are informed and thorough. It does little good to prepare an estate plan for your heirs that ignores related matters. Issues such as taxes, provisions for long term care and what will happen if you are unable to communicate your wishes about your own care should also be considered. If you need a trial attorney to represent you in court, you should seek a firm with lawyers and staff experienced in litigation, and the areas of law that apply to your case. Your trial attorney’s first-hand knowledge of the law, the legal system and the individuals involved may have a significant bearing upon your case. The litigation attorney’s confidence, presentation skills in the courtroom and his or her ability to think quickly are essential. At Beasley & Gilkison, we are proud of our litigation track record. We have successfully represented individuals, businesses and institutions in the region. The same evaluation criterion applies to other areas of law. The experience, knowledge, and skill of the attorneys, in combination with the strength and depth of the firm, can make a significant difference in the quality of your legal representation. Staying current with the changing laws and needs of our community is also critical. At Beasley & Gilkison, we stay abreast of changes, watch trends, and are involved in our community. Our team is encouraged to further their knowledge of their practice areas and to contribute their time and services to the community in a variety of ways. We also network with other members of the legal profession, with community leaders, and with private citizens. At Beasley & Gilkison, you can be assured that you are being represented by one of the most knowledgeable and effective teams of lawyers in the region.